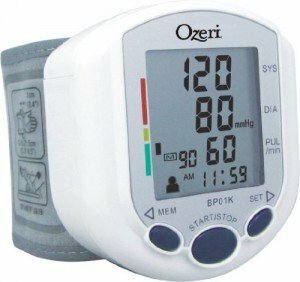 This is the summary of consumer reviews for Ozeri CardioTech Pro Series Digital Blood Pressure Monitor (Model BP01K). The BoolPool rating for this product is Very Good, with 4.40 stars, and the price range is $32.95-$34.95. Easy to use, and easy to setup. It's small and easy to use BUT the results couldn't be any more inconsistent. It's so easy to use and I was so pleased with this product. Its easy to use, lightweight, and my results were within acceptable ranges when compared to my Omrom. 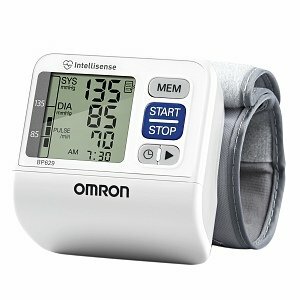 I wanted this to work because it's so easy to use and less trouble than other blood pressure monitors. Fabulous product for the features. But sorry, it's crazy wrong?. I get wildly different results every 2 seconds. I went ahead and bought a larger arm band unit (also from Ozeri) and it proves my point that this wrist cuff unit is consistently lower than others. I'll keep this as a secondary unit and just subtract 20 for the reading but not happy with unit. 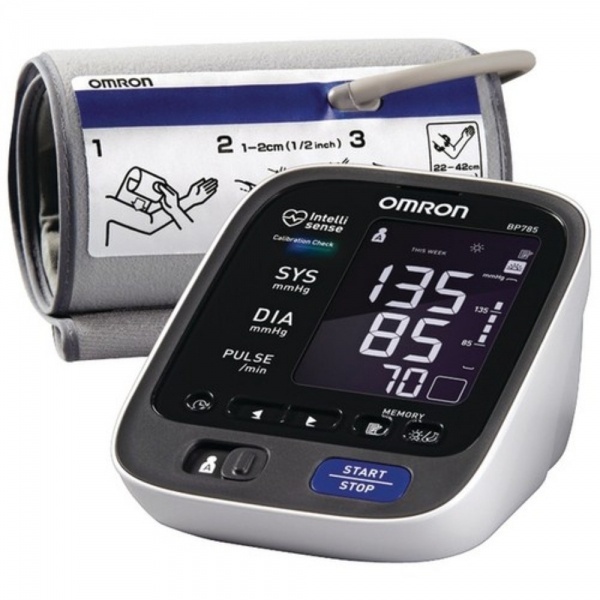 I purchased this unit as a double check to the RediOn arm cuff blood pressure monitor I already have. Takes less effort than my last arm unit. Am happy I switched to a wrist unit. My wife has been struggling with an arm unit that was bulky and took a long time to set up and get a reading. This unit gives me readings which are off by over 20! 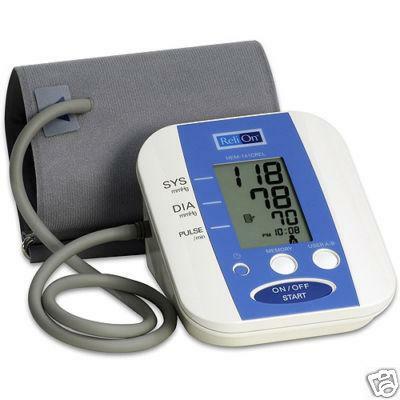 We're really enjoying our blood pressure monitor - it's nice for everyone in the family to keep track of their blood pressure, any time we want. It also has a nylon-like material cuff that seems easy to keep clean. I've used it against the units in the pharmacies too to double check. This monitor seems very accurate. Easy to set up and use and seems to be accurate. This little monitor seems to be dependable, accurate and consistent. The other ones all work great, are very accurate and easy to operate. I was surprised at how easy and accurate this little unit is. My doctor was also impressed with it. they find it easy to use and it's accurate (compared it to manual type) so they can keep track of their "numbers". As you know wrist monitors aren't as accurate as arm cuffs, so just be aware of that fact, but so far I'm happy with my purchase. Take the 10 breaths to relax and I elevate my arm so it's at the same level of my heart, and seems to accurate. Then I brought it to my doctors office to compare with his meter and he said , just return it, its not accurate at all. Update: The product worked wonderfully in Ghana. I was a little concerned buying a wrist monitor, but when the product got here It worked perfectly. this blood pressure cuff lasted two weeks then stopped working. Works surprisingly well for a small battery powered portable blood pressure monitor. A model to follow and a company that stands behind the product. I bought the product Nov. 2011. Tried new batteries and still didn't work. The product is fast and accurate and very portable to carry around on the unit while working. The price, reviews, warranty, performance and the company standing behind their product makes this purchase a no-brainer decision. The readings are never accurate. 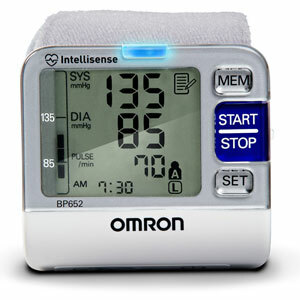 This BP monitor always gives me an accurate reading and it's very easy to use. Reading is accurate when instructions are followed. 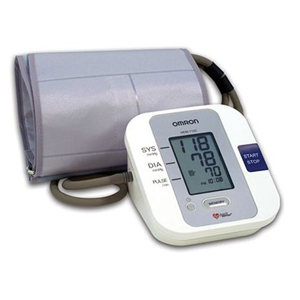 This bp monitor is compact, fast & easy to use, and provides valid readings. 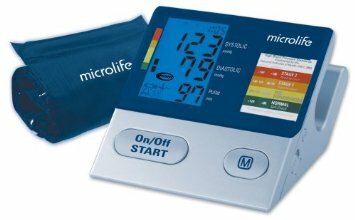 I've just been diagnosed with mild hypertension and the readings are very accurate when compared to the readings I'd at my Doctor's office. The readings are fairly accurate in comparison to the Dr's office cuff measurements, so I feel confident in trusting my at home numbers. Lastly, I took it into my doctors office to see if it was giving accurate readings. The wrist monitor was accurate each time. Let's face it, this unit won't win any awards as a fashion accessory, it's primary colors, easy to read (wide) LED display, and big (Easy push) buttons. Remember taking one reading after another will have variations in the reading because conditions vary with every reading. It gives accurate readings time and again. The readings are so far so good, I've tested it against manual bp checking 4 times already and are pretty close together in reading. I've read some reviews where people complain about the lack of accuracy of the readings. In my case the readings are consistent with where I'd expect them to be, but I'd recommend users read the manual for correct positioning, as this can cause mis-readings. 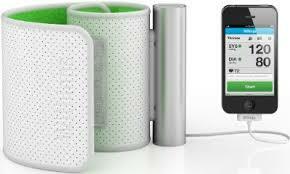 The monitor consistently registers high readings which are significantly higher than the readings. Perhaps because I'd take the readings at different times of the day/night plus I was walking around prior to the readings. It's a little sensitive with the readings, you must keep your arm and wrist still and at heart level, or you'll get err or inaccurate readings. 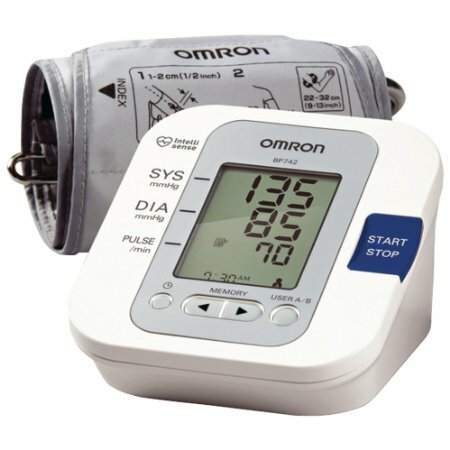 The digital blood pressure monitor also calculates average blood pressure readings based on your last 3 readings, and detects irregular heart arrhythmia as well as educating the use,r so they can better understand their heart's heath.